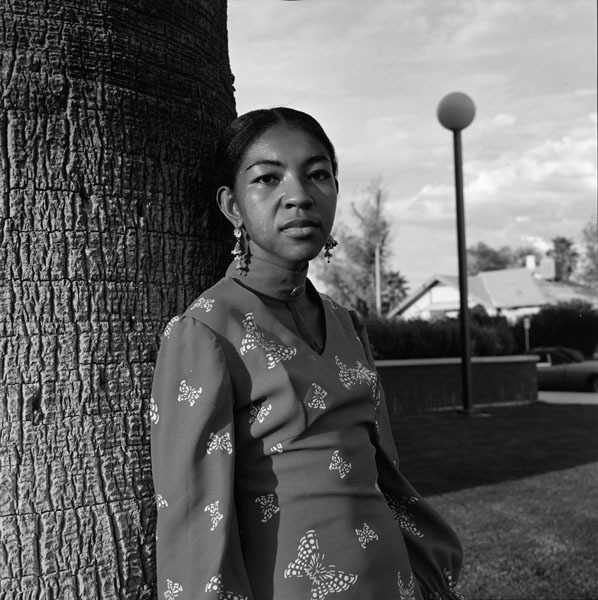 Poet Ai leans against a palm tree at the University of Arizona Poetry Center for the Fall 1972 Reading and Lecture Series. Ai, 1972. Photograph by LaVerne Harrell Clark. Courtesy of The University of Arizona Poetry Center. Copyright Arizona Board of Regents.